The big-toned but supple saxophone of Cochemea Gastelum has been a crucial element in the Afrobeat and funk excursions of the Budos Band and the retro-soul of the Dap-Kings. 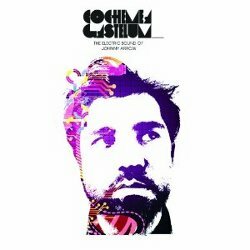 Now‚ with his first solo album‚ The Electric Sound of Johnny Arrow‚ Gastelum blends those flavors -- and many more -- into an imaginative and appealing amalgam of groove‚ mood‚ and texture. There's no doubt that main ingredients and spices redolent of groove music from the past -- the electrified soul-jazz of the 70s in particular --are in plentiful supply. The streetwise funk of 70s cop and spy movie soundtracks is evident too‚ as the record's title might hint. But there's also a personal depth to Gastelum's sonic vision: at times he seems to have layered his compositions and arrangements in a way that's reminiscent of Les McCann's work on albums like‚ well‚ Layers. The effect is engaging and evocative‚ with Rhodes and percussion colors‚ flute‚ vibes‚ section and solo horns (the horns at times electrified ala vintage Eddie Harris) all coming together in surprising and satisfying ways. Co-producer Mocean Worker has brought his touch of DJ in places--most noticeably perhaps on "Carlito!‚" with its stripped-down dance music gestalt‚ its sampled vocal hook. But the strongest tracks are the ones that let Gastelum's imagination loose. For example‚ there's "Impala 73‚" a charanga-style flute workout over a summer-vibed‚ sideways bugalu. Or "Stars‚" with its ambient drifts‚ dreamy bell-toned triplets‚ languid Drifters-esque string ensemble‚ and wide-open and expressive sax all mingling and coalescing gorgeously into something like intergalactic smooth jazz from the future. Indeed‚ it's the mingling and coalescing in ebullient --and fun-- ways that gives the record such a sense of lift. In its best moments The Electric Sound of Johnny Arrow might summon the feeling of summer in a windows-and-doors-open urban neighborhood where groove-centric musicians from many places‚ spaces‚ times‚ and traditions come together to jam and party‚ finding new ways to share what they've got.